I have never used a record clamp on my turntable. Is there an actual true benefit to securing the vinyl to the platter or is it completely a waste of money? I am asking about any sonic benefit as opposed to minimizing warpage. I am thinking of a Michell clamp which only costs $50.00 and is light which won't cause any stress on the motor and bearings. Do you think this one is a good idea (scroll down near the bottom for the price). I am thinking of ordering two of them just in case one gets misplaced in my house. Well minimizing warpage would result in possible sonic benefit. It also will reduce in most cases how much sound in the room will get picked up by the record and come back thru the LP playback chain. Whether that acoustic feedback is important is an effect that is probably borderline in level. I tried several different clamps way back when and they substantially improved the sound of warped records. A vacuum clamp system worked better but costs much more, natch. I had a little tripod clamp thingie that was cheap and worked OK but only if you could align it so as to reduce the warps -- since it only contacted at three points, it made some records worse! For many years in my vinyl days I used a record clamp. Better than the weight types, they grab the spindle with a collet and put pressure on the disc when tightened. Doesn't load the platter bearing like weights but can supply a positive interface with the mat. Normally quite inexpensive to boot. Note a weight heavy enough to counter a good warp is also likely to be heavy enough to load the motor and bearing, thrust plate, etc. Back "then" some TT manufacturers would void the warranty if they determined you used a heavy clamp. Some turntable manufacturers recommend a clamp. 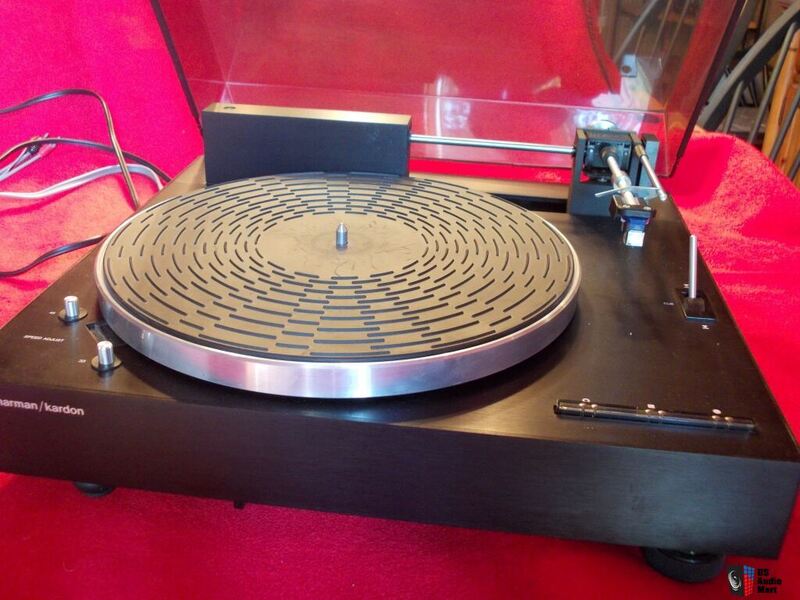 What kind of platter your turntable is using, do you use a rubber or felt ring mat on top? Any vinyphile has a tt clamp in his toolbox, for those odd warped vinyls. If the table is made of acrylic, wood or metal, the record can slip. * The one from your second post; get four of them if you have dogs. ...Two if you have cats. ...One if you have no dogs no cats. ...Zero if you have no job. As Don suggested, be careful your bearing can take the extra weight. IMO, third party clamps are not very effective way to minimize warps. The main reason to use such a clamp is to "couple" the LP to the platter. This is often a catch 22 situation, LP based resonance (brought on by the stylus/groove interface) can be damped by the entire mass of the platter, but In doing so ... you directly distribute any and all turntable noise to LP and vice versa. I use a clamp, but my turntable has very low noise floor and controlled resonance characteristics. I use a clamp that works like that too. My TT has a very slight conical dishing machined into the top so that the clamp pulls the centre down with the edges touching round the rim, which reduces warps much more than using a clamp or weight on a flat platter. I would love to see a photo of what you are describing if that is ok with you. This is often a catch 22 situation, LP based resonance (brought on by the stylus/groove interface) can be damped by the entire mass of the platter, but In doing so ... you directly distribute any and all turntable noise to LP and vice versa. Hey TBone, good to hear from you! Platter and mat materials, a sticky wicket we enter there. My personal thoughts on the subject was that platter material shouldn't make much difference as long as it was reasonably damped. A job that could be enhanced by a good mat material. Something along the lines of a soft rubber type substance will serve to damp resonances in both the platter and the LP's vinyl itself. The raised ribbed rubber mat supplied with my HK table seemed by design to be a good choice so I never changed. Best ideas I've seen for warpage were the weighted perimeter rings but beware when lowering stylus. Or the vacuum platters but they had the pump noise and possible pulse resonance transference into the media. Never tried either. Platter and mat materials, a sticky wicket we enter there. My LP playing days culminated with an Oracle Delphi II. That was one of the first TTs that appeared to make a massive assault on controlling vibration of the disc on the platter. It had a nice aluminum, screw down clamp with a special center washer under the mat. The spindle was threaded for the clamp. The mat was a good, compliant,soft rubber that made contact with the entire disc. A thick rubber damping ring surrounded the platter. And, it was all suspended on adjustable, damped spring towers. Did it all work? Well, it sounded pretty good, and the look was awesome. I later suggested a weighted clamp to someone with a Technics TT. We could hear the difference with/without pretty clearly. I've plenty experience with Oracles. Excellent 'tables. The screw down clamp did effectively "help" in taming warps. It is a standard Goldmund Reference, there are pictures on the internet. I measured the "height" of the "cone" machined onto the platter surface decades ago, I have forgotten the exact figure but it was around 1 or 2 mm, not noticeable to the naked eye in life or photo! So the platter was made concave, slightly lower in the middle than the perimeter? That would make sense in helping the clamp flatten any warping. My HK's mat with the recessed label area somewhat addressed the same issue. Exactly and it has a label recess too. The arm is set up to run down the cone side so the cartridge remains normal to the LP surface. The arm is a parallel tracker and the whole is engineered properly so the cartridge runs down the cone side. This is from the early 80s but I am yet to see one as well thought out from an "understanding the physics" pov rather than styling and what we old blokes called hairy-a*sed engineering prevalent today. The Continuum had a lot of good analysis done but was ridiculously expensive, as most are today. It's important to know what kind of plinth the OP has with his TT. Without knowing that we are swimming in a vast ocean of record clamps and weights. Is Vinyl Better Than It Used to Be?